Laura at Quokka Quilts is holding a competition sponsored by the FatQuarterShop. 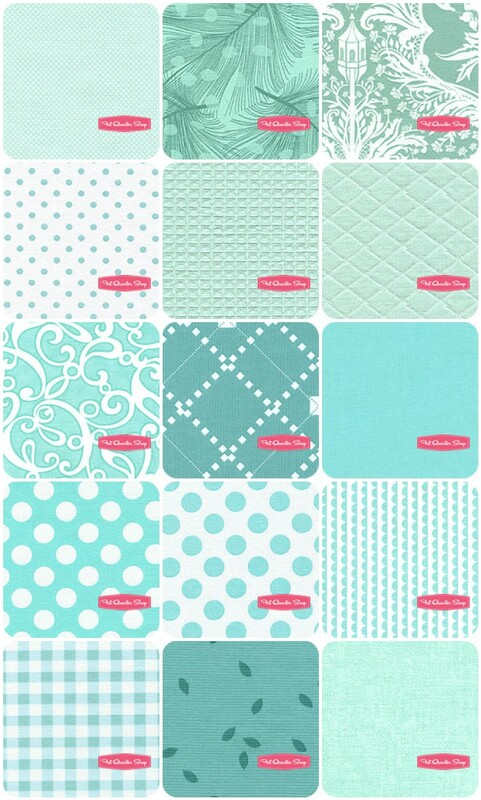 all you have to do is choose 12 prints and 3 solids from the FatQuarterShop to make a designer bundle. I had my tangerine / orange selection ready to go and someone beat me to it. Grey and charcoal was also taken so I opted for one of my favourite blenders – Aqua / turquoise. I don’t use white as I have boys, dogs and red mud in and around my house so I use greys and aquas as backgrounds and highlights. Aqua goes well with grey, charcoal, orange, citrus, reds, lime, purples, pink – really anything. Great colour! Goes with your blog too! I didn't even think of doing a colour group when I did mine…looks good! I'm loving the monotone bundles I'm seeing popping up. I created a bundle and then fell out with it, so I'm going to have another go this weekend!